In higher education, student success is commonly defined as persistence in a bachelor’s degree program, leading to a timely graduation. Cal Poly understands that a larger understanding of student success includes student learning, the degree to which the student achieves the program and university learning objectives; student engagement in educationally purposeful activities; student development as a whole person; and, ultimately, student satisfaction with the sum total of his/her college experiences. Although student learning is itself a complex phenomenon, taking place in multiple courses and curricula over a period of years, the metrics provided below evidence the value of a Cal Poly education. was Cal Poly's senior mean total score on the Collegiate Learning Assessment (CLA+). This is better than or equal to the senior mean total of 99% at all CLA schools, signifying Accomplished mastery of the writing, critical thinking and quantitative reasoning skills measured by the CLA+. See Spring 2016 CLA+ Results for more results. Cal Poly has a rubric-based assessment plan that focuses on five core competencies writing, critical thinking, quantitative reasoning, oral communication, and information literacy. 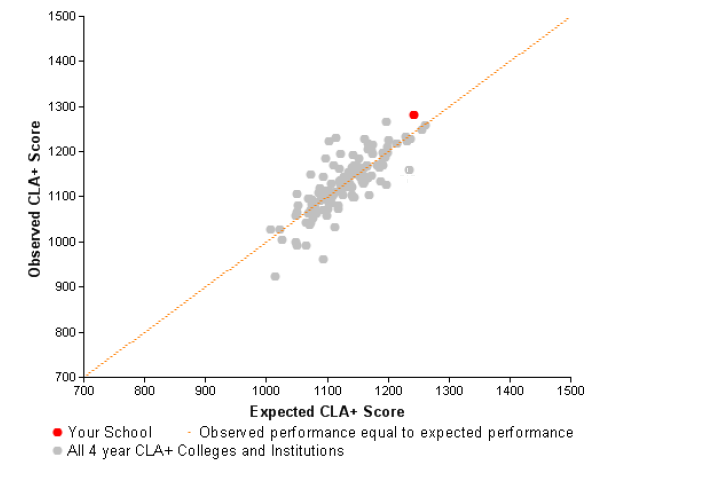 Student performance is evaluated at the foundation level in General Education and at the graduation level in the major. 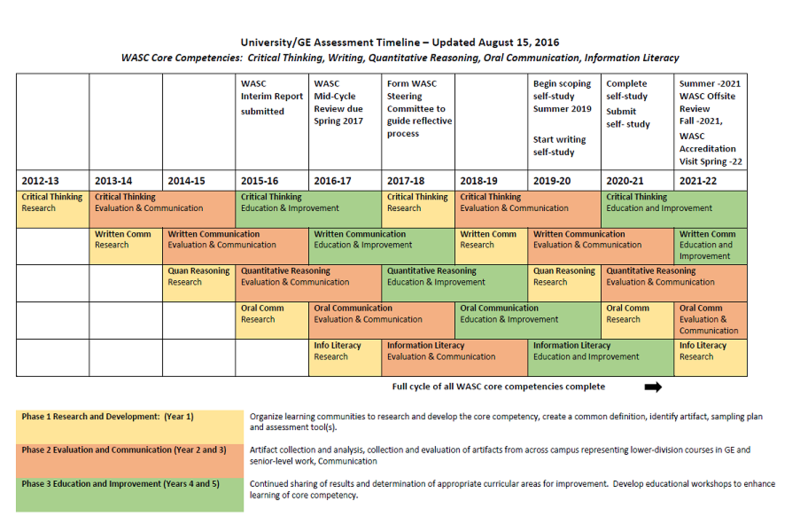 See University/GE Assessment Timeline for the plan and Assessment of Student Learning for links to the results. Student Satisfaction: National Survey of Student Engagement. of Cal Poly freshmen and an equal percentage of seniors rated their entire educational experience at Cal Poly as "excellent" or "good". 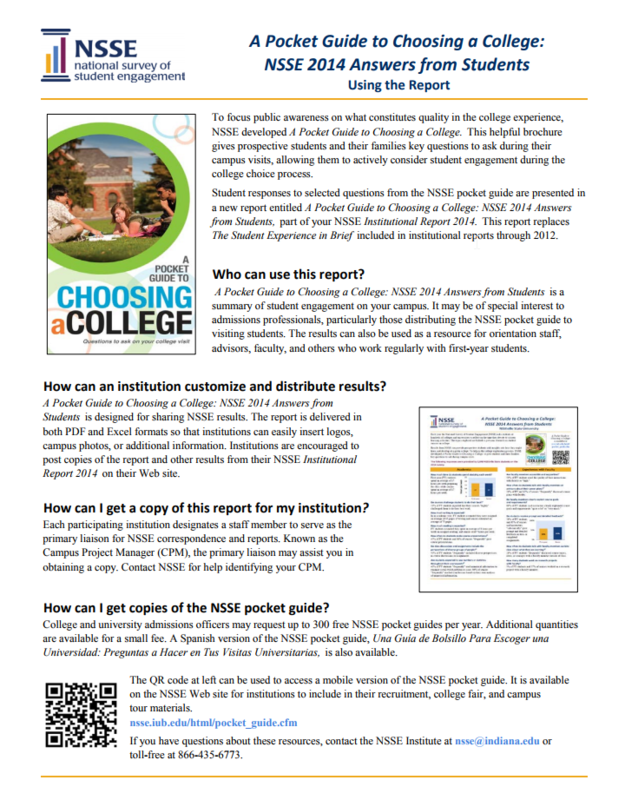 See A Pocket Guide to Choosing a College for more results.